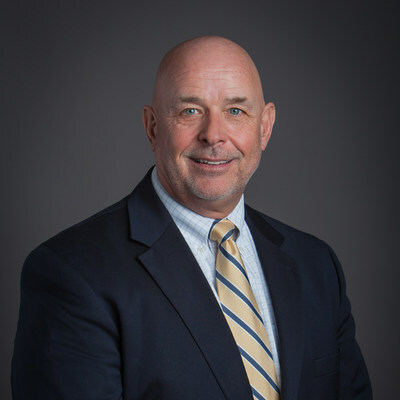 KANSAS CITY, Mo., Feb. 7, 2019 /PRNewswire/ -- Tracy Streeter, a Kansas government leader who was instrumental in developing a long-term vision for protecting and sustaining the state's water resources, has joined Burns & McDonnell. Until his retirement in December 2018, Streeter served 33 years in positions related to Kansas water resource management, including 14 years as director of the Kansas Water Office (KWO). The KWO is responsible for water resource planning and implements policies related to water management, drought declarations and other state-wide management issues. "Nothing is more vital than protecting our water resources for future generations and Tracy has spent his entire career focused on the doing just that," says Ron Coker, senior vice president and general manager of the Water Group at Burns & McDonnell. "We couldn't be more thrilled that he will be starting the next phase of his career with us." During his tenure at KWO, Streeter served as chairman of the Governor's Drought Response Team, and in 2013 was appointed to co-lead the development of a 50-Year Water Vision for Kansas, along with the Kansas Secretary of Agriculture. That comprehensive planning effort identified projects like the dredging of the John Redmond Reservoir, a U.S. Army Corps of Engineers reservoir south of Topeka, Kansas. The Redmond project included removal of 3 million cubic yards of sediment while also stabilizing banks and other improvements. The vision also has led to the creation of water technology farms in Western Kansas that serve to research and test procedures for improved management of the endangered Ogallala Aquifer. "I have spent 33 years in Kansas state government helping people ensure a safe and reliable water supply for their children, grandchildren and generations after that," Streeter says. "There are a lot of things I'm proud of, but the 50-Year Vision may have been the capstone because it was based on facts and data gathered from numerous stakeholders throughout the course of 600 meetings and it will now serve as a realistic plan to preserve and protect vital water resources for many years to come. "My new role at Burns & Mac will allow me to continue to help folks, not only in Kansas, but in other regions. Everyone should feel more secure that clean, reliable sources of water will be there for generations to come." 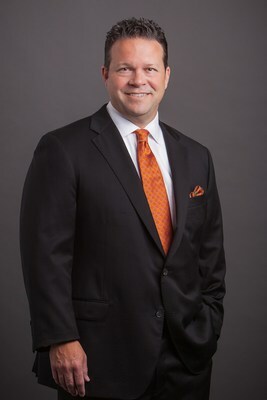 Streeter is a native Kansan who grew up on a diversified family farm in Brown County, a largely rural region in Northeast Kansas, near the Nebraska state line. He earned undergraduate degrees from Highland Community College and then Missouri Western State University. He received a master's degree in public administration from the University of Kansas. Burns & McDonnell is a family of companies made up of more than 7,000 engineers, architects, construction professionals, scientists, consultants and entrepreneurs with offices across the country and throughout the world. We strive to create amazing success for our clients and amazing careers for our employee-owners. Burns & McDonnell is 100 percent employee-owned and is proud to be on Fortune's 2018 list of 100 Best Companies to Work For.For more information, visit burnsmcd.com.